It's been a long time since I've posted on here, almost two years. However, I figured out how to replace sounds and have since updated my Waluigi hack, replacing Mario's sound clips with Waluigi's. Nice improvement! 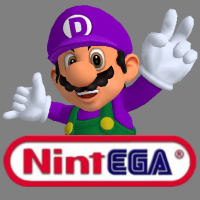 Maybe you could try contacting Fiachra and see if he could help you with an ASM mod to import Waluigi as his own character and place him in the white colored double doors in the character select room. Thanks! Also, that sounds like a great idea, as long as Fiachra would like to help with the Waluigi mod too, lol. Last view: 136 days ago you will have to add a secret level to replace the star in the white door, though (just a suggestion). you will have to add a secret level to replace the star in the white door, though (just a suggestion). That sounds like a good idea, like CyberTanuki said though, I would need Fiachra's help. Last view: 215 days ago A level based on Waluigi Pinball would be neat! The rolling boulders could work well as a pinball obstacle. Always remember that waffles are just pancakes with chain-mail armor. A level based on Waluigi Pinball would be neat! The rolling boulders could work well as a pinball obstacle. Thanks. Also, the rom is "Super Mario 64 DS (EU)(M5)". My zip folder for the patch contains all the stuff you need to patch that rom once you get it. Last view: 994 days ago When do you think you'll put in the MKWii model of Waluigi into SM64DS? 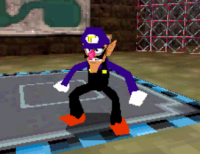 When do you think you'll put in the MKWii model of Waluigi into SM64DS? That would look interesting, but I don't think I'll import that model into SM64DS since this one took a long time to make and is already fully proportional, lol. Last view: 994 days ago Oh... but I mean, it would work great as a V3 and it would look more spot on in the game, as if it was in the game to begin with. Really? That'd be great! Only if you really wanna do it though, I know getting levels in this games takes a lot of work, lol. 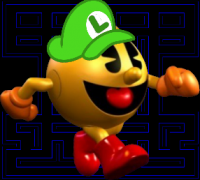 don't worry I love this stuff and I was thinking of something better than that we take Mario's level (for now since you replaced him) and change it into the waluigi pinball level! Replacing Mario's level is a great idea! You can start making the stage whenever you like since you're up to it. Also, your textures look good, and that pic of Mario, lol. MySQL - queries: 28, rows: 234/234, time: 0.024 seconds.